Research has shown that spending too much time on social networking sites can cause something called “Facebook depression”. This is just one of the ways that modern technology has been found to affect people in negative ways. It’s estimated that children aged 8 to 18 spend an average of seven hours a day with their devices, according to Huffington Post. 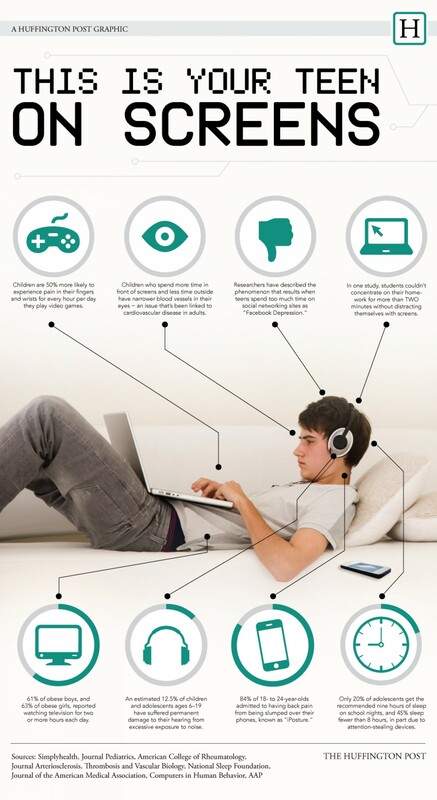 Find out this and more with this infographic about over-exposure to technology.